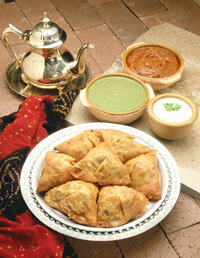 It means that our notes are the spices, flavors and traditions from all reaches of India. It means that while honoring the beauty of each of these individual notes, we will weave them into beautiful music that will be heard by each one of your senses and will carry you on a breath of wind to the thoughts of India. 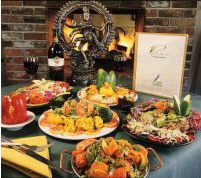 Whether you come in or order over the phone - you'll have the best Indian food has to offer for your enjoyment.